(1) Students take roles which are representative of the real world and involve them making decisions in response to their assessment of the situation that they have been placed in. (2) Students experience simulated consequences which relate to their decisions and their general performance in the simulation. (3) Students monitor the results of their actions and are encouraged to reflect upon the relationship between their own decisions and the resulting consequences of their actions. An essential part of a simulation involves the student playing a role of a character in the past. One of the major objectives of the creator of the simulation is to help the student understand the situation of that person. In other words, helping the student develop a sense of empathy. 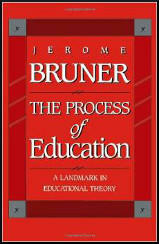 In his book, The Process of Education (1960), Jerome Bruner argues that simulations encourage active learning. However, Bruner prefers some simulations to others. He argues that the “value of any piece of learning over and above the enjoyment it gives is that it should be relevant to us in the future”. That is something I always take seriously when I am constructing a simulation. (i) They are usually problem-based and are therefore helpful in the development of long-term learning. (ii) The normally involve the use of social skills which are directly relevant to the world outside the classroom. (iii) Simulations deal with situations that change and therefore demand flexibility in thinking. An example of a historical simulation that is available free online involves the issue of child labour at the beginning of the 19th century. Each student is given the name of an individual that was involved in the debate that was taking place at this time. This included factory owners, factory reformers, child workers, parents, journalists, religious leaders and doctors. The student is then given an instruction sheet with details of the Textile Industry Encyclopaedia Website and what they needed to do. This includes writing an account of their character and a speech on the subject of child labour. Each character had an entry in the Spartacus Encyclopaedia. This provided them with biography and sources that enables the student to discover his or her views on the issue. The website also includes information under headings such as factory pollution, parish apprentices, factory food, punishments, working hours, accidents and physical deformities. There are also entries in the encyclopaedia on the machines the children used and the type of work they did in the factory. It is interesting the way they react when they discover who their character is. Initially, they are much happier about playing the role of a factory owner. They quickly develop the idea that they are in some way responsible for the wealth that the character has obtained. Those who are given the role of a child worker are less happy at first but the more they investigate their situation, the more involved they become in the need to find ways of overcoming the problems that they faced. The exercise helps to explain the complexity of child labour in the 19th century. The students discover that some factory owners, such as John Fielden and John Wood, were actually leaders of the pressure group trying to bring an end to child labour. At the same time, social reforming journalists like Edward Baines were totally opposed to any attempt by Parliament to regulate the use of labour. Even doctors did not agree that it would damage a child's health to be standing for twelve hours a day in a factory where windows were kept closed and the air was thick with the dust from the cotton. What the children discover from their in-depth studies is why the individuals felt the way that they did. In the debate that follows, this is revealed to the rest of the class.